Stanley John How, Jr. was born April 27, 1928 in Council Bluffs, Iowa. In 1951, he graduated from Iowa State College with a Bachelor of Architecture Degree. In this same year, How became the Chief Designer at the firm Leo A. Daly Company, Architects, until 1959, whereupon he began his own firm, Stanley J. How & Associates. He had a very successful career in architecture, winning the Honor Award from the Nebraska Architectural Association in 1960 for the Ford House. How received an Honorable Mention for the same award the following year, for his work on the Pinkerton Building. Other accolades he received include the AIA Silver Medal in 1951, and the Henry Adams Book Award for the same year. How was also elected chairman of the Board of Trustees for the Joslyn Art Museum on December 3, 1974. 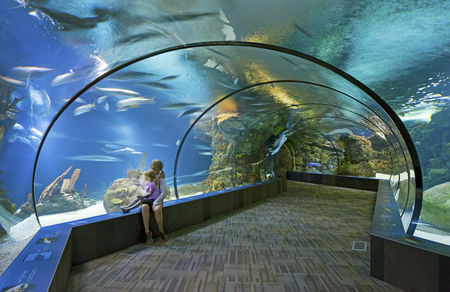 He is highly recognized for his extensive work in Omaha's Henry Doorly Zoo. His final firm is ongoing, with his son Stanley John How, III as president. How died on December 9, 2011. 1948-1951: draftsman, Union Pacific Railroad Company, Omaha, Nebraska. 1951: BArch, Iowa State College, Ames, Iowa. 1951-1959: chief designer, Leo A. Daly Company, Architects, Omaha, Nebraska. 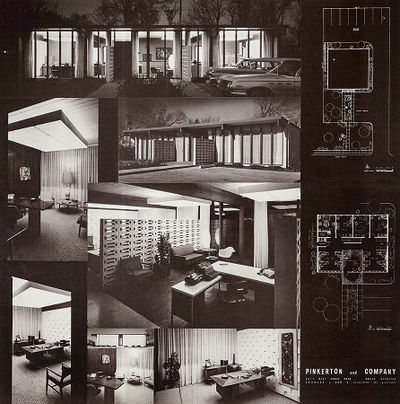 1959-1960: architect and owner, Stanley J. How, Architect, Omaha, Nebraska. 1961-1982: president, Stanley J. How & Associates, Omaha, Nebraska. 1982-1990: president, How Nelsen & Associates, Architects, Omaha, Nebraska. 1990-2001: chairman of the board, Stanley J. How & Associates, Omaha, Nebraska. 2008: Architect Emeritus, Omaha, Nebraska. 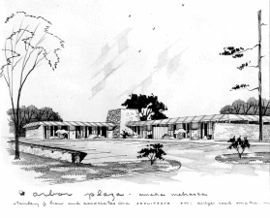 1959-1961: employed Gary L. Goldstein, architect. In 1959, Stanley John How, Jr. established his own firm. Mr. How added associates in 1969, and started practicing under the name, Stanley J. How & Associates. M. J. Ford House (1960), 306 S 89th St., Omaha, Nebraska. St. Phillip Neri School & Convent (1960), 8202 N 31st St., Omaha, Nebraska. St. Cecilia Cathedral Rectory (1960), 701 N 40th St, Omaha, Nebraska. Pinkerton & Company Office Building (1961), 8014 W Dodge Road, Omaha, Nebraska. Red Ball Express Terminal (1961), 67th & J St., Omaha, Nebraska. 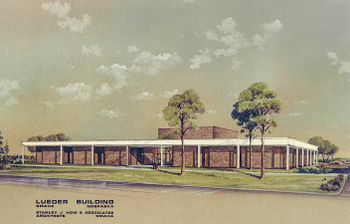 North Side Bank (1961), 31st & Ames Ave., Omaha, Nebraska. Diplomat Hotel (1961), 1511 Farnam St., Omaha, Nebraska. Indian Hills Inn (1963)], 8501 W Dodge Rd., Omaha, Nebraska. Swanson Towers (1964), 8401 W Dodge Rd., Omaha, Nebraska. Continental Building (1965), 209 S. 19th St., Omaha, Nebraska. Lodge, Zion National Park (1966), Utah. Westroads Shopping Center (1966), 10000 California St., Omaha, Nebraska. First West Side Bank Building (1968), S 72nd St,. Omaha, Nebraska. Witherspoon Residence (1968), 9909 Fieldcrest Drive, Omaha, Nebraska. Demolished. Pirotte Building (1969), 9015 Arbor St., Omaha, Nebraska. Lueder Building (1969), 10011 J St., Omaha, Nebraska. District 66 Administration Building (1970), 909 South 76th St., Omaha, Nebraska. Flamingo House (1972), Omaha Henry Doorly Zoo, 3701 S. 10th St., Omaha, Nebraska. University of Nebraska-Omaha Library (1972), 6601 Dodge St., Omaha, Nebraska. Musbach Art Center(1974), Midland Lutheran College, Fremont, Nebraska. Library (1975), Midland Lutheran College, Fremont, Nebraska. Owen Residence (1975), Fairway Drive, Omaha, Nebraska. M.U.D. Headquarters Renovation (1976), 1723 Harney St., Omaha, Nebraska. Old Mill Office Park (1976), 108th & Old Mill Rd., Omaha, Nebraska. Giraffe House (1979), Henry Doorly Zoo, 3701 S. 10th St., Omaha, Nebraska. Demolished. Lutheran Church of the Master (1981), 2617 S 114th St., Omaha, Nebraska. Aquarium (1982), Henry Doorly Zoo, 3701 S. 10th St., Omaha, Nebraska. Administration Building (1982), Midland Lutheran College, Fremont, Nebraska. In 1982, principals Stanley J. How, Jr. and Victor Brondt Nelsen reorganized the firm as How Nelsen & Associates. Theisen Residence (1983), 9800 Harney Parkway South, Omaha, Nebraska. Demolished. Blackstone Hotel Office Building Renovation (1983), 302 S 36th St., Omaha, Nebraska. Dining Hall (1984), Midland Lutheran College, Fremont, Nebraska. 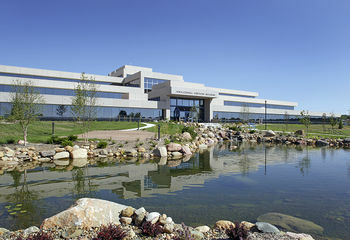 Guarantee Mutual Life Company Campus Developments (1984), 8801 Indian Hills Dr., Omaha, Nebraska. Main Entrance (1985), Omaha Henry Doorly Zoo, 3701 S. 10th St., Omaha, Nebraska. 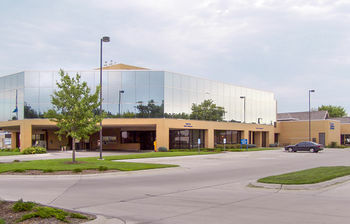 Lake Regency Office Building (1985), 444 Regency Parkway Dr., Omaha, Nebraska. Orpheum Tower Renovation (1987), 405 S 16th St., Omaha, Nebraska. Durham Bear Grottos (1988), Omaha Henry Doorly Zoo, 3701 S. 10th St., Omaha, Nebraska. 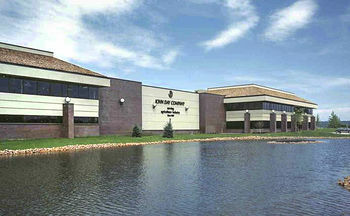 OPS TAC Center (1989), 3215 Cuming St., Omaha, Nebraska. When Victor Brondt Nelsen retired, How Nelsen dissolved, and the firm reverted back to Stanley J. How & Associates. Stanley John How, III became president. Observation Tower (1990), 28500 W Park HWY., Mahoney State Park, Ashland, Nebraska. Bellevue College Learning Center (1991), 1000 Galvin Rd South, Bellevue, Nebraska. Lied Jungle (1992), Omaha Henry Doorly Zoo, 3701 S. 10th St., Omaha, Nebraska. Brownell Talbot School, Worthington Hall (1994), 400 N Happy Hollow Blvd., Omaha, Nebraska. Dodge County Courthouse Renovation (1994), 435 N Park., Fremont, Nebraska. Student Center (1995), Midland Lutheran College, Fremont, Nebraska. Desert Dome (1995), Omaha Henry Doorly Zoo, 3701 S. 10th St., Omaha, Nebraska. Garden of the Senses (1996), Omaha Henry Doorly Zoo, 3701 S. 10th St., Omaha, Nebraska. Simmons Safari Park (1997), 16406 292nd St., Ashland, Nebraska. Rehabilitation, UNO Alumni House (1997), University of Nebraska at Omaha, 6705 Dodge St., Omaha, Nebraska. 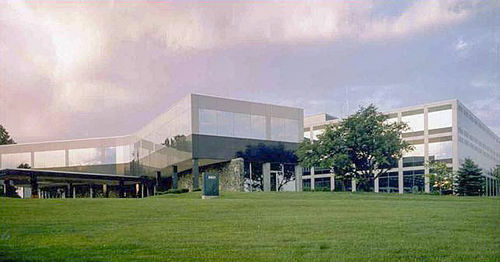 John Day Company Headquarters (1998), 6263 Abbott Dr., Omaha, Nebraska. Gymnasium and Social Hall (1999), St. Robert Bellarmine School, 11900 Pacific St., Omaha, Nebraska. Pepperwood Village (1999), 505 N. 155th Plaza, Omaha, Nebraska. Gorilla Exhibit (2000), Omaha Henry Doorly Zoo, 3701 S. 10th St., Omaha, Nebraska. First State Bank (2000), 1005 E 23rd St., Fremont, Nebraska. In 2001, How's firm reorganized again under the leadership of his son, Stanley John How, III. The new firm was known as ASD Stanley J. How Architects, with three new principals. Though he was chairman emeritus of the new firm, How remained active and was the principal designer of several projects, until his work there ended in mid-2011. 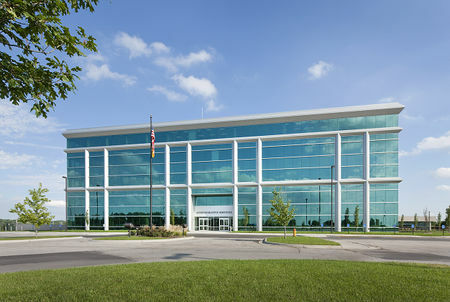 Hawkins Construction Headquarters (2001), 2512 Deer Park Blvd., Omaha, Nebraska. Residence Halls (2001), Midland Lutheran College, 900 N Clarkson St., Fremont, Nebraska. Orangutan Exhibit (2002), Omaha Henry Doorly Zoo, 3701 S. 10th St., Omaha, Nebraska. Bellevue University Administration Services Building (2003), Bellevue, Nebraska. First Westroads Bank (2003), 15750 W Dodge Rd., Omaha, Nebraska. 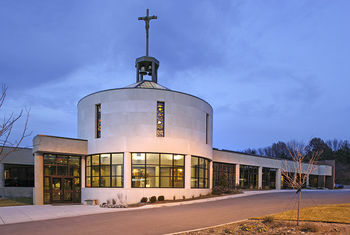 St. Robert Bellarmine Sanctuary (2004), 11900 Pacific St., Omaha, Nebraska. Conservation and Research Center (2004), Omaha Henry Doorly Zoo, 3701 S. 10th St., Omaha, Nebraska. Butterfly Exhibit (2006), Omaha Henry Doorly Zoo, 3701 S. 10th St., Omaha, Nebraska. Madagascar Exhibit (2007), Omaha Henry Doorly Zoo, 3701 S. 10th St., Omaha, Nebraska. Administration Building (2007), Niabi Zoo, 1310 Niabi Zoo Rd., Coal Valley, Illinois. Aerial Tram (2008), Omaha Henry Doorly Zoo, 3701 S. 10th St., Omaha, Nebraska. Bellevue University Educational Services Building (2010), 1000 Galvin Rd. South, Bellevue, Nebraska. Aquarium Expansion (2010), Omaha Henry Doorly Zoo, 3701 S. 10th St., Omaha, Nebraska. 1951: Tau Sigma Delta, University of Nebraska. 1951: American Institute of Architects, Silver Medal. 1951: Henry Adams Book Award. 1960-1961: Honor Awards, Nebraska Architectural Association, Ford House; Honorable Mention, Pinkerton Building. 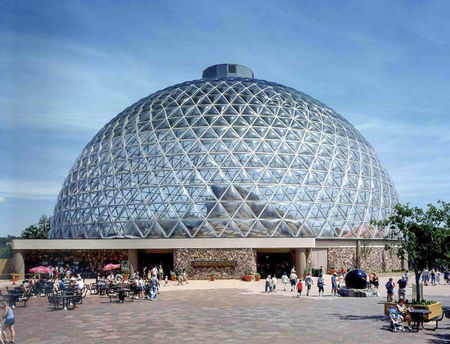 1992: 10 best designs of 1992, Time magazine, Lied Jungle, Henry Doorly Zoo, Omaha, Nebraska. 2. “Stanley J. How Picked to Head Joslyn Trustees,” Lincoln Evening Journal (December 4, 1974), 35:6. 3. The Nebraska Professional (Spring-Summer 2008), 7. 4. “Deceased Licensees, January 21, 2012 through September 12, 2012,” in The Nebraska Professional (Fall 2012), 7. 5. Stan How, president, ASD Stanley J. How Architects, “Wiki page for Stanley How,” email exchange with D. Murphy, Nebraska State Historical Society, February 24, 2017 – March 7, 2017. Substantial information and images for this page were contributed by Stanley J. How & Associates, courtesy of Stanley John How III, February 24-April 4, 2017. D. Murphy, “Stanley John How, Jr. (1928-2011), Architect,” in David Murphy, Edward F. Zimmer, and Lynn Meyer, comps. Place Makers of Nebraska: The Architects. Lincoln: Nebraska State Historical Society, April 24, 2017. http://www.e-nebraskahistory.org/index.php?title=Place_Makers_of_Nebraska:_The_Architects Accessed, April 22, 2019. This page was last modified on 24 April 2017, at 09:48.